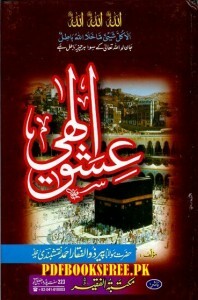 Ishq-e-Ilahi Urdu Authored By Maulana Pir Zulfiqar Ahmad Naqshbandi r.a. Ishq e Elahi is an Islamic book discus the Islamic aspect of true love and virtues of love with Allah Ta’ala in Urdu language. The concept of true love in Islam in the light of Quran and Sunnah of the Holy Prophet PBUH. This useful book is now available here for reading and download. Visit the following links to read online and download the complete book in Pdf format for offline reading and references.